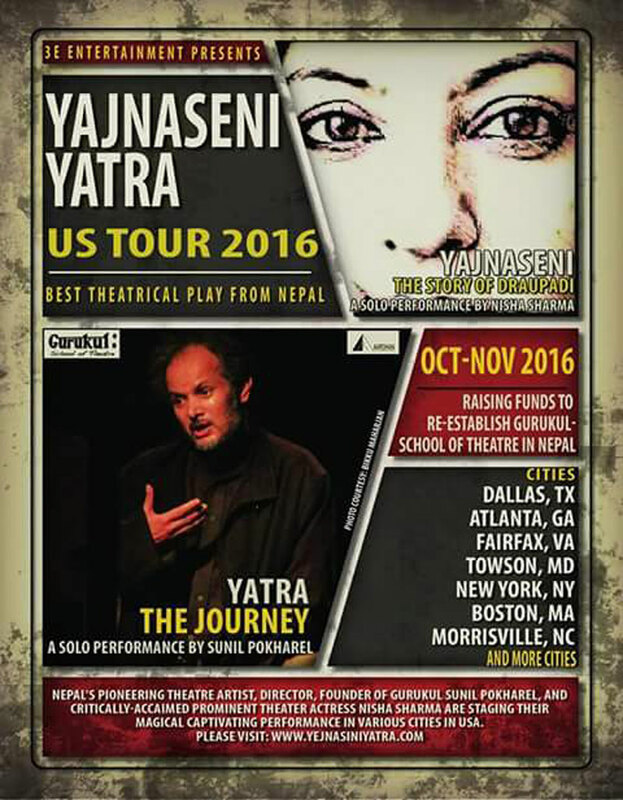 KATHMANDU, Sept 29: Nepali actor and theater director Sunil Pokharel has set off for a two and half month long US tour to showcase two solo plays – ‘Journey’ and ‘Yajnaseni: The Story of Draupadi’. 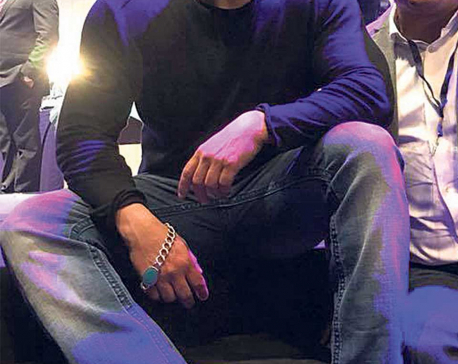 He is joined by his wife, actor Nisha Sharma, and his son Nishansh Pokharel on the tour. Upon the invitation of an organization composed of non-residential Nepali living in US, Pokharel and team are scheduled to perform at eleven venues in US including Dallas, Atlanta, Fairfax, Tucson, New York, Boston, Marysville and San Francisco. Adapted from Indian author Pratibha Roy’s 1995 novel, ‘Yajnaseni’ will feature Nisha Sharma as Draupadi in a 55 minute long one-woman-show. Sunil Pokharel is directing the show. Similarly, Nishansh Pokharel will direct his father for a solo performance in ‘Journey’. According to Nishansh, ‘Journey’ is a “loosely scripted” and “highly improvised” play inspired from his father’s own life. “There’s no hardbound script and everything is left to improvisation. With each performance, we’re going to add something different to the show,” said Nishansh. 'journey’ and ‘yajnaseni: the story of draupadi’.